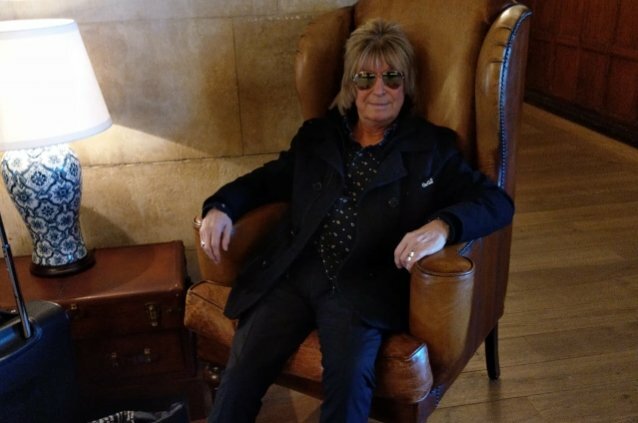 Share the post "UFO Keyboardist/Guitarist PAUL RAYMOND Dead At 73"
UFO guitarist/keyboard player Paul Raymond has died after suffering a heart attack. He was 73 years old. The news of Raymond‘s passing was broken by his “life partner,” Sandra, who wrote on Facebook: “Hi to all the fans and people who knew Paul! This is Sandra, Paul‘s life partner speaking: With a desperate and broken heart, fully in tears and pains that feel like they will kill me I have to tell you that my most beautiful and beloved darling Paul Raymond has passed away today. The doctors we’re trying to reanimate him and with success at first but then his system shot down again and there was nothing more they could do for him, he died of a heart attack. “I will always love him and I hope he will rest in piece until I’ll see him again on the other side!!! This is breaking news story and will be updated as more information becomes available.